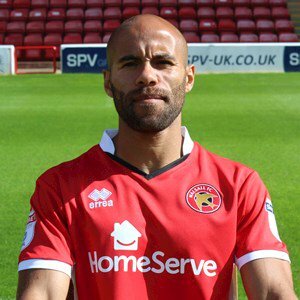 Walsall manager Dean Keates has spoken ahead of this weekend's televised League One clash with Fleetwood Town, and revealed that club captain Adam Chambers is continuing to work hard on a return, and could be available for selection before the end of the calendar year. Chambers' break ensured the Saddlers have been without two key central midfielders, as well as the captain and vice-captain, this season as Joe Edwards has also been sidelined with an anterior cruciate knee ligament injury picked up against Blackburn Rovers last season. Speaking via the Express & Star, Dean, said; "Chambo is not too far away. He is nowhere near as close as Joe Edwards. It’s been a long injury for him. But hopefully he’ll be around the Christmas mark as well."